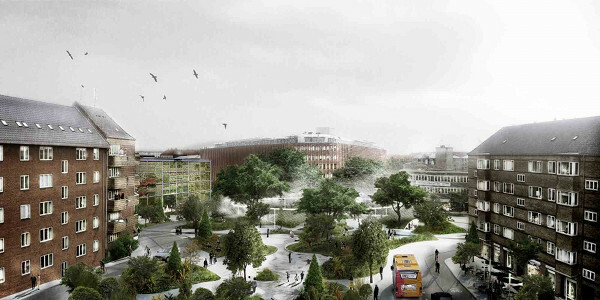 Tredje Natur , a Copenhagen based architecture firm has unveiled plans to develop Saint Kjeld’s Quarter into the city’s most resilient neighborhood by planning for extreme weather events, particularly cloudburst rain storms. The concept is straightforward, change about 20% of the existing layout to accomodate consequences of climate change,and create a new experience for users of these urban squares. Also the project must not interfere with current existing city functions, such as transportation.